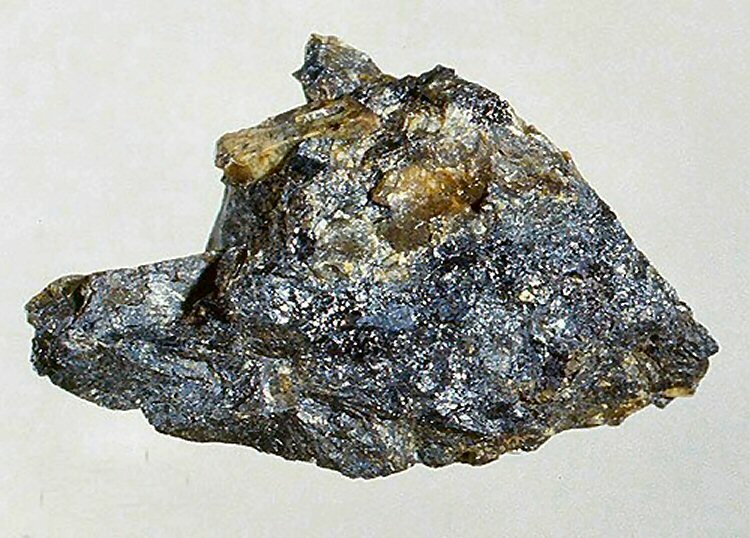 Comments: Massive, resinous spencite (Tritomite-(Y)), with brown zircon crystals.. Location: BEMCO prospect (Charlotte Mine), Cranberry Lake, Byram Township, Sussex Co., New Jersey, USA. Scale: Sample Size 2.0 cm.